Gańgādhara Meher, popularly known as ‘Swabhāva-Kavi’ is one of the illustrious makers of Indian literature. In the galaxy of poets of Oriya literature, he is a scintillating star of first magnitude. Coming on 9 August 1862, Śrāvaņa Pūrņimā (Rākshī Bandhan), the day of full illumination, at Barpali in the then Sambalpur district of Orissa, his mortal form disappeared in the murky veil of Chaitra Amāvāsyā on 4 April 1924. Literary compositions of Gańgādhara comprise several kāvyas, essays, autobiography and numerous lyrics : devotional, patriotic, satirical and reformative. 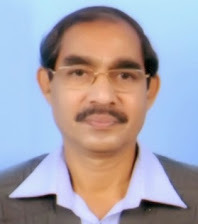 His main works are Tapasvinī, Pranaya-Vallarī, Kichaka-Vadha, Indumatī, Utkala-Lakshmī, Ayodhyā-Druśya, Kavitā-Kalloļa, Arghya-Thāļī, Ahalyā-Stava, Mahimā, Bhāratī-Bhāvanā, Kavitāmāļā, Padminī and Krushaka-Sańgīta. “Gańgādhara Granthāvalī”, the compilation of all his writings, has earned high appreciations through several publications. Like Kālidāsa in Sanskrit and William Wordsworth in English, Gańgādhara Meher is regarded as ‘Prakriti-Kavi’, Poet of Nature, in Oriya literature. He sees and shows the entire universe ever-beautiful, nectareous and imbued with ambrosia. 'Tapasvinī’, an eleven-canto Oriya epic poem, is the magnum opus and a great classic of this illustrious poet. With the prevailing sentiment of Pathos, this kāvya depicts the post-banishment episode of Sītā in the hermitage of Sage Vālmīki. In this Rāmāyaņa-based literary composition, the poetic presentation is well- embellished with originality and significant innovations. Sītā, the daughter of Earth and the devoted wife of King Rāma, in her later life appears as a ‘Tapasvinī’, A Woman practising penance or An Ascetic- maid, in the pen of Gańgādhara Meher. This epic poem reveals the ambition of the poet to portray the brilliant character of a devoted wife steeped in Indian culture in the domain of literature. With vivid and prominent delineation of Sītā’s life-deeds, Tapasvinī kāvya may be construed as a ‘Sītāyana’ in the field of Indian Literature. For wide popularization and comparative correspondence, I have completely translated ‘Tapasvinī’ into English, Hindi and Sanskrit. From among these tri-lingual translations, Hindi Rendering Book "TAPASVINI" has been published by Sambalpur University, Jyoti Vihar, Burla, Orissa, in 2000. My English Book entitled "TAPASVINI OF GANGADHARA MEHER"
A-217, H.B. Town, Road No.4, Sodepur, Kolkata- 700110, India. On the occasion of 147th Jayanti Celebration of Poet Gangadhar Meher on Sravana Purnima (5-August-2009) in Poet’s native place Barpali of Orissa state, this English Tapasvini Book was inaugurated in the Function organized by Gangadhar Sahitya Parishad, Barpali at Kavi Bhavan, the sacred home where the poet composed his immortal literary works. Rāma’s Coronation in the Vision of Sītā : . * KĪCHAKA VADHA (Hindi Version). THOUGH I AM AN ENGINEER & WORKING IN A DRY & HOT ATMOSPHERE FROM THE LITERARY STANDPOINT,(ROURKELA STEEL PLANT)NEVERTHELESS I AM A GREAT & PASSIONATE LOVER OF CLASSIC LITERATURE . I AM REALLY THRILLED AT YOUR STUPENDOUS ACHIEVEMENT IN ACADEMICS AS WELL AS IN LETERARY PURSUITS. REALLY AM I IMPRESSED WITH YOUR ENGLISH TRANSLATION OF THE GREAT EPIC OF OUR GREATEST POET "SWABHAVA KAVI GANGADHARA"- MAY I PRAY TO THE BAG DEVI TO SHOWER ALL HER CHOICEST BLESSINGS SO THAT YOU ACHIEVE GREATER HEIGHTS IN YOUR ENDEVOUR.